A new technique has been developed by EPFL researchers for assessing building safety following an earthquake, thus helping residents to move back to their houses more quickly. A major challenge and responsibility of civil engineers are to decide when it is safe for the residents of the building to return to their homes following an earthquake. In addition to assessing whether the building could collapse, the engineers should also evaluate whether it has the ability to endure aftershocks of the same magnitude. The good news is that some potential study is being conducted in this area. A new technique that can increase the accuracy of these types of evaluations has been invented by the researchers of EPFL’s Applied Computing and Mechanics Laboratory (IMAC). It depends on taking measurements of ambient vibrations of a building and can be used to improve current techniques and accelerate the process for determining which structures are too weak to live in. The study by Yves Reuland (lead author), Pierino Lestuzzi, and Ian F.C. Smith is published in the January issue of Soil Dynamics and Earthquake Engineering. Our article shows that we can leverage existing technology in new ways. We took systems that are already used to measure the condition of bridges, and applied them to the assessment of buildings damaged by an earthquake. The other novel aspect of our method is that we don’t need to know the baseline—that is, pre-earthquake—condition of a building to perform the assessment. That is significant since the buildings are usually not fitted with sensors that constantly measure their structural behavior. After an earthquake, engineers have to explore the condition of a building much as a doctor who has to diagnose a patient without the knowledge of the medical history of a patient. Presently, engineers carry out this diagnosis using a visual assessment which is performed based on an appraisal form created by Italian scientists. After the two major earthquakes in central Italy in 2009 and 2016, this technique proved to be highly effective. 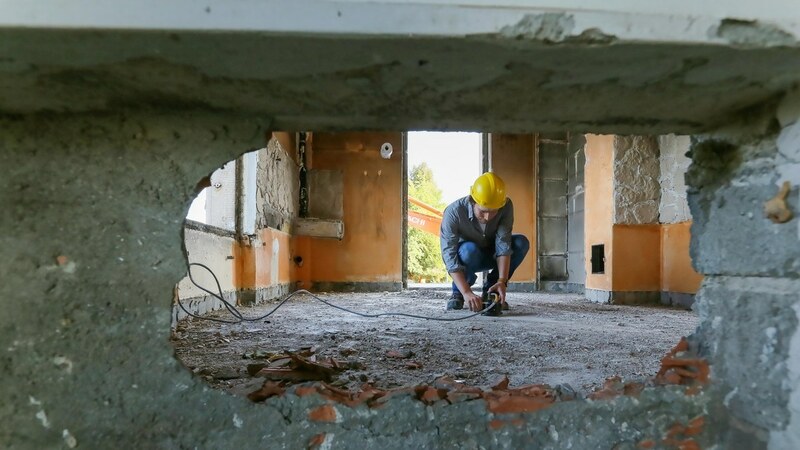 Although a visual assessment is required for locating the damage caused to a building, it takes a long duration to complete, approximately 2–3 hours per building, and is quite difficult and subjective. In addition, it does not remove the ambiguity about whether a building could endure aftershocks. Therefore, the new technique was developed at IMAC. The new technique enables the engineers to record the ambient vibrations (such as those caused by human activity like road traffic, or by wind) of a building with a portable seismograph in which three or four sensors are placed at various points in the building and the vibrations are measured for 30 minutes—quite similar to a doctor who listens to the heartbeat of a patient using a stethoscope. The recordings are then processed to segregate signals due to variations in the structure of the building from signals due to ambient noise, the age of the building, or weather conditions. The results are fed into a computer model for predicting the potential of building to survive another earthquake. The predictions of the model of IMAC researchers are estimated to be 50%–100% accurate. After that, engineers can integrate these quantitative data with the results of their visual assessment. Combining these two approaches reduces the amount of uncertainty as to whether a building can be occupied. But our model needs to be developed further before it can be adopted on a large scale. Lestuzzi states that the IMAC technique could already be employed to assess buildings on the outer rim of earthquake-affected areas for the residents to rapidly know when it is safe to move back to their homes. The IMAC researchers carried out their study by investigating the demolition of the Villa Marguerite building on the EPFL campus and examining the results of experiments performed by EPFL’s Earthquake Engineering and Structural Dynamics Laboratory (EESD), led by Katrin Beyer, on a pilot building constructed on a shake table.